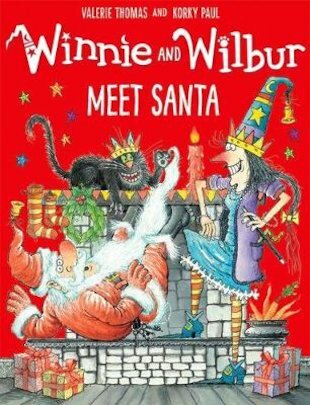 When Santa got stuck up the chimney, he never dreamed that Winnie and Wilbur would help him out in a magical rescue… It’s Christmas Eve. Hurray! Winnie and Wilbur have written to Santa, and now they’ve gone to bed. Until – CRASH! BANG! HELP! What’s that? Santa is stuck in the chimney! No worries: Winnie knows just how to magic him out! But now Santa is running late. Winnie and Wilbur must help him deliver his presents all over the world. But although riding in a sleigh is great, they’re terrible at sneaking into houses. (Listen out for them!) Maybe a little magic spell could help…?